3-Pole Connector plugs and jacks are made to exacting specifications to provide rapid, dependable connections between thermocouples and extension wires, with ground wires an integral part of the system. Also ideal for 3-wire RTD applications. 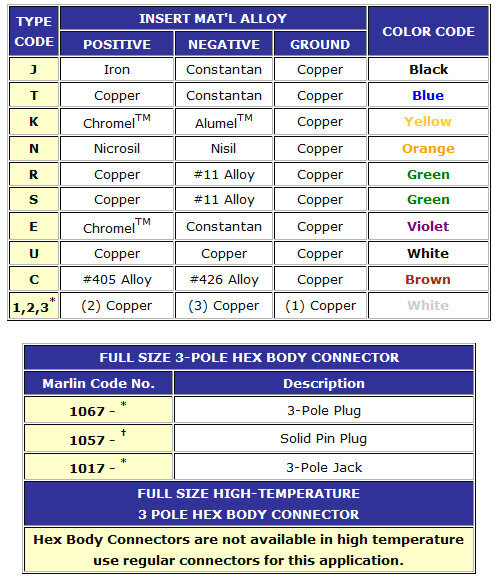 For more information, regarding 3-pole applications - Click Here! Click the button below to add the 3-Pole Hex-Body TC Connector to your wish list.